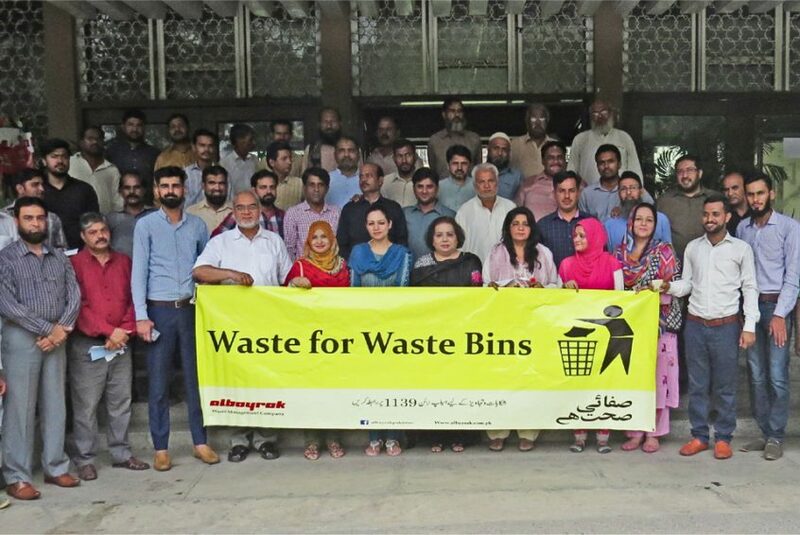 Lahore: Albayrak Waste Management arranged a cleanliness awareness drive in the historical building of Radio Pakistan on Thursday. The activity under anti-littering campaign, aimed to discourage littering and to promote the cleanliness habits among the employees of Radio Pakistan. Albayrak Waste Management donated waste bins which were installed inside the building of Radio Pakistan. The team of Albayrak established an awareness camp and requested the employees of Radio Pakistan to ensure the use of waste bins. Plantation drive and waste picking activity were organized in the one day drive. The activity was concluded with an awareness walk whereby the participants pledged to make workplaces green.